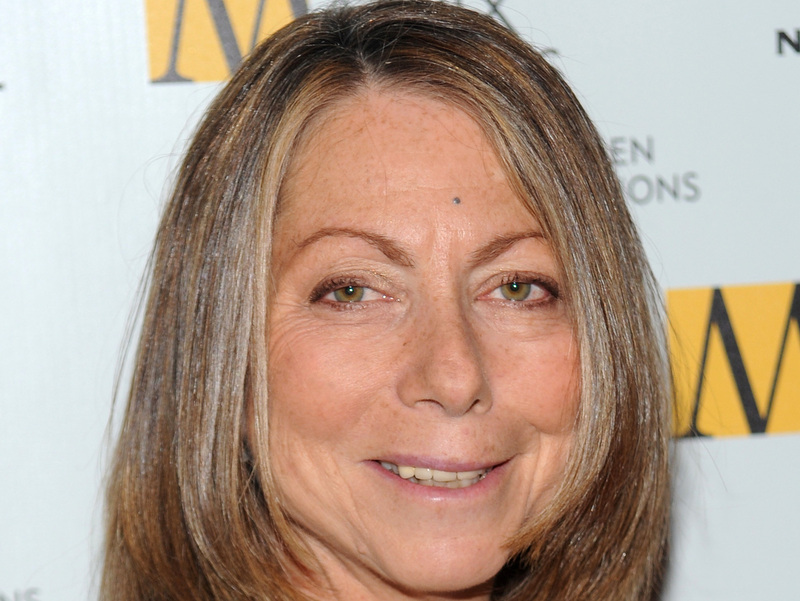 Fired 'New York Times' Editor: 'Losing A Job You Love Hurts' : The Two-Way In a commencement speech, Jill Abramson used humor to tackle her controversial dismissal from The New York Times. Like the college students before her, she said, she doesn't know what's next for her. Abramson then pivoted to humor. She said her only concern about speaking at the university less than a week after her sacking was that the media circus would detract from the graduates' experience. Then she asked: "What's next for me? I don't know. So I am in exactly the same boat as many of you." She received laughs and long, resounding applause for that line. She continued: "And like you, I'm a little scared and also excited." Abramson stayed away from many of the details that have been reported. She didn't address a very personal statement from Times publisher Arthur Sulzberger Jr., who said he fired Abramson over her "arbitrary decision-making" and "public mistreatment of colleagues." She only obliquely referred to the reports that she was fired from the Times because she was a woman. She talked about the women in her life who sent her messages of support. Abramson said her sister sent her a note the day after the firing, for example, saying their father would be just as proud of her today as he was the day she was named executive editor of the world's greatest newspaper. "It meant more to our father to see us deal with a setback and try to bounce back than to watch how we handled our successes," she said. "Show what you are made of, he would say." She talked about an email she received from the mother of a child killed by a New York taxi cab. She met with the child's mother, who is pushing for new laws to make streets safer for pedestrians. "She has taken an unimaginable loss and is already trying to do something constructive," Abramson said. "We human beings are a lot more resilient than we often realize. Resilient and perseverant."